This 4 bedroom bungalow is located in the heart of Glasson Village, with a host of amenities on its doorstep. Standing on a large mature site, this property has full planning permission for an open plan conversion. Accommodation: Entrance Hall, Sitting Room, Kitchen, Living Room, Utility, 4 Bedrooms and Bathroom. Rarely does a property with such potential come to the market and would make a lovely family home. 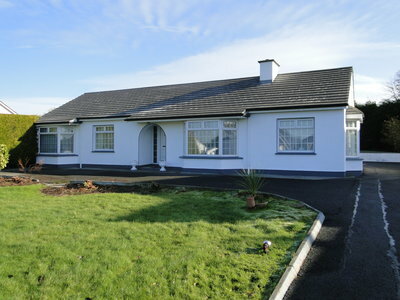 Previous ListingCloghalmore, Shannonbridge, Co. Offaly.Next Listing2A Millcross Cresent, Bealnamullia, Athlone, Co. Roscommon.